I’m sure the majority of you are hooked on Bullet Proof Coffee but what about Bullet Proof Chocolate? Sound to good to be true? Wellll…. it is slightly. But if your like me and coffee isn’t an option due to sensitive adrenal glands that are prone to fatigue. Plus coffee makes you so hyper people might want to throw you out a window, or you just get anxious AF, I’ve got the dream drink for you. It’s what I drink everyday at work, usually about 3 times a day. Once after my morning lemon water, yes I store lemons in the office fridge. Second usually mid morning before lunch. Then lastly sometime in my last 2 hours, especially if I’m hitting the gym afterwards. Not only is this a great caffeine substitute for focus at work but it also works great as a pre-workout drink. The ingredients are super simple too AND you can drink it hot or cold! It’s a coffee substitute that goes great with a non-dairy milk of choice ( I choose this one) or water. As for Cocoa Powder I’ve used another of different brands but so far I like this one. Let me know how you like it or if you have any suggestions, cinnamon is also a delicious addition if you want a little heat and blood sugar stabilization! If You Feel Like Reading More.. I offer my ” Read it more” option after my recipe cuz lets be real, I love to write but not everybody loves to read. SO this is the section for those of you who are a little more curious about why I choose to switch over from coffee to cocoa. 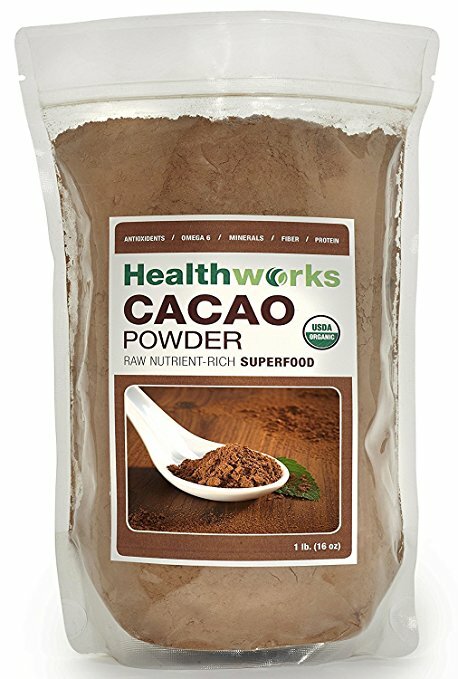 Cocoa contains essential minerals like calcium, magnesium, and zinc. Coffee can deplete some of the minerals we need like potassium, sodium, and calcium as they are excreted with the excess urination that usually accompanies coffee consumption. Coffee make me TOO hyper, some people its find but if your like me, it will send you a little overboard. Contains Flavonoids which help protect the body from inflammation. Nobody wants inflammation! Cocoa Powder actually contains a compound (phenethylamine) that acts as a anti-depressent, chocolate really is happiness. Lastly, Chocolate is just good for the soul, I always feel like I’m getting a treat when I have one of my drinks, especially if I heat it up with some cashew milk!